Immerse yourself in the heart of the Manufacture and its cutting-edge technologies, in keeping with the spirit of the great 18th century master-watchmakers. balance wheels, pinions, balance springs and screws as well as cases, dials, floating lugs and hands... Each component is individually designed and crafted with meticulous attention to the slightest detail, including the traditional “Côtes De Bethune” and Microlight engraving. Historically, watchmakers naturally represented the moon as it appears in the sky – meaning like a sphere. As time went by, the principle of these moons was abandoned in favour of an option that takes up less space in a watch movement: namely flat depictions. Based on the observation that the latter are visually inaccurate, De Bethune was the first watchmaker who nurtured a desire to create the first ever wristwatch movement incorporating a spherical moon. 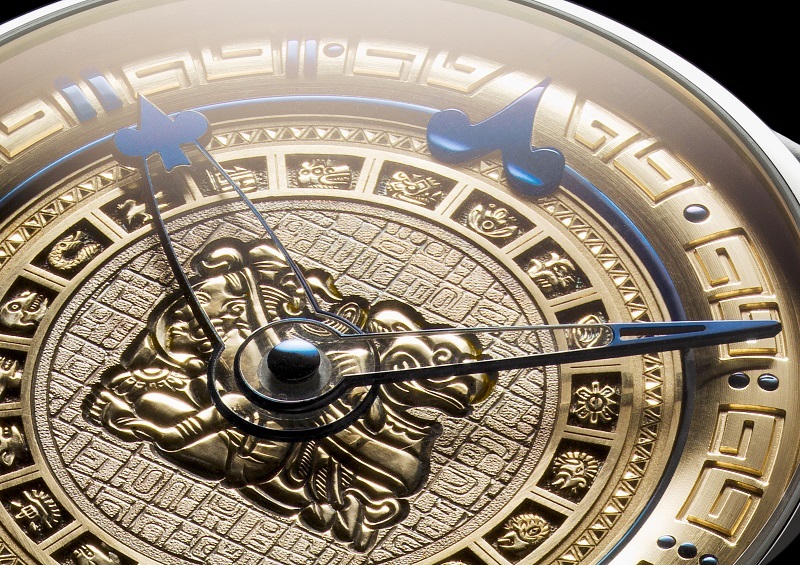 Breaking free of all constraints, Denis Flageollet, Master Watchmaker and founder of De Bethune, managed to design a calibre capable of accommodating a three-dimensional moon that appears to be literally levitating above its star-studded sky. 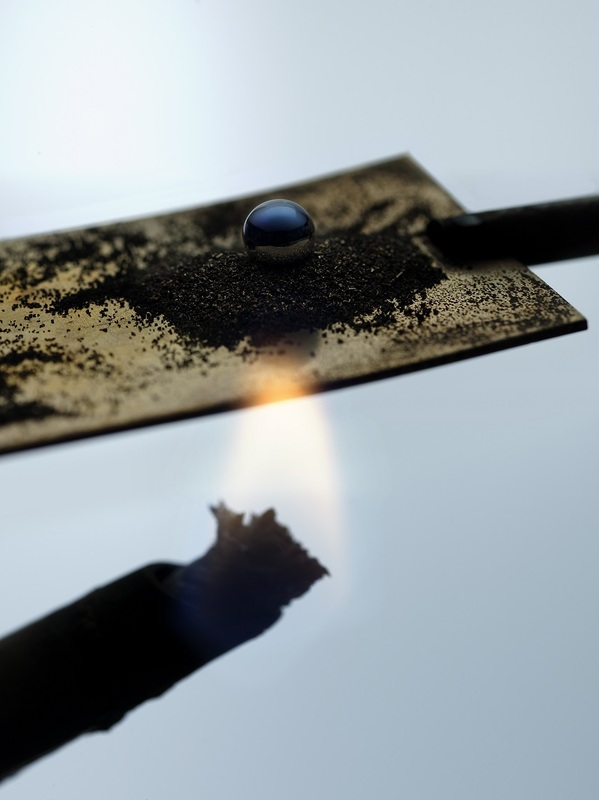 So as to reproduce its dark side, he came up with the idea of making it from two steel and palladium hemispheres, cut, assembled and polished before being placed on a bed of brass filings and exposed to the flame of a spirit lamp. Heat then works its magic spell, as steel turns into a blue oxide, while the palladium remains intact. The assembled sphere can then spin on its axis so as to accurately reproduce the different movements of the heavenly body as observed in the sky. Its driving mechanism is calculated with such accuracy that a full 122 years will elapse before it accumulates a one-day discrepancy. De Bethune’s attention to detail extends to creating its own hands, sculpted from stainless steel, titnaium, silicon, gold and even sapphire. Conceived and designed with as much care as a dial or any other part of the case or movement, they are always part of a complete thought process and are custom-made for each new creation within the company workshops in the vililage of L’Auberson. Refusing to accept any limits on its creativity, De Bethune thus takes the liberty of fashioning their material, exploring new profiles and sometimes giving them a singular shape – or even distorting them – so as to facilitate the motion of the moon. The determination to achieve excellence is expressed through each and every detail. It all began with a simple question: was it possible to further improve the comfort and the ergonomics of a wristwatch? 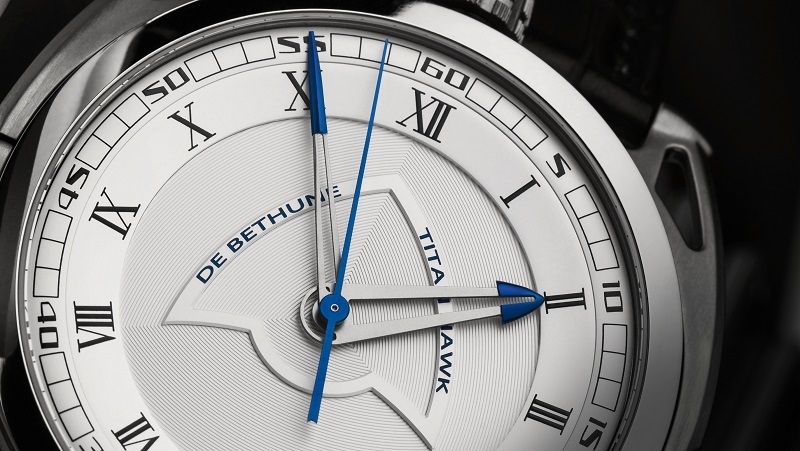 In replacing traditional lugs by a patented principle of floating lugs pivoting from the central axis of the watch, De Bethune invented a simple and effective solution that frees the timepiece from fixed lugs. It thereby sits naturally on the wrist; the strap flows more smoothly; the crown thus positioned at 12 o’clock avoids the crease of the wrist; and the flat caseback is no longer an issue – all of which ensures incomparable comfort. The watch industry long confined itself to the use of steel and iron, until De Bethune undertook its own research on titanium. Its technique was finalised in 2006 and is now applied to the purest version of this material: the grade 5 variety. 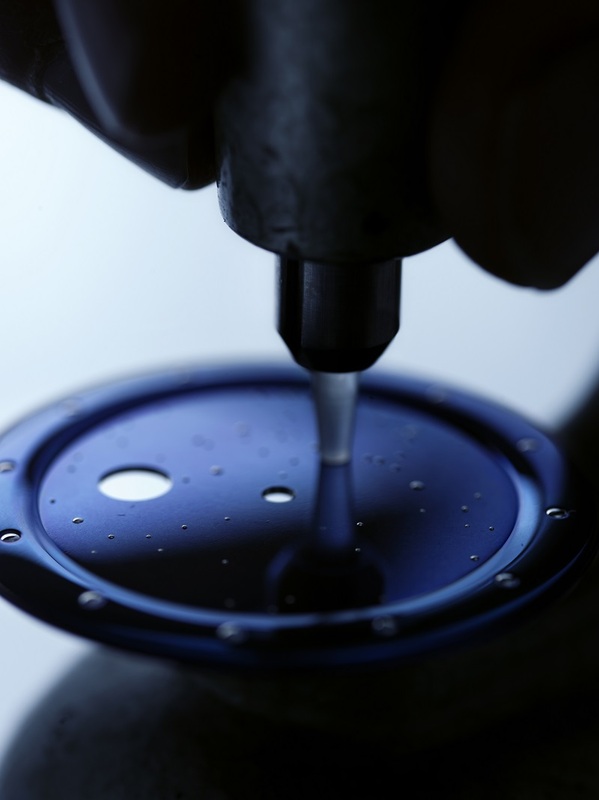 Carrying connotations of infinity and harmony, natural blue is a major field of research for De Bethune. 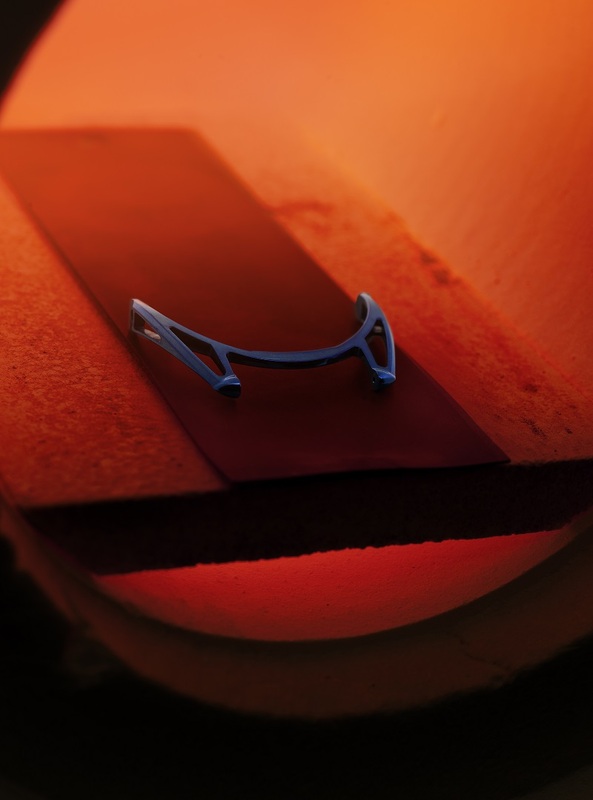 To create its own shade of this azure hue, de Bethune uses a technique that consists of gently heating the material with a flame so as to colour its surface through oxidation. For balanace-wheels, floating lugs, dials and many other components, the process begins with polishing the raw material to achieve a perfect mirror polish, before the watchmaker cuts out the parts, cleans them and then fires them in an oven at 700 °C to oxidise the titanium and give it this truly extraordinary uniform shade of blue. The heavenly vault has become a recurrent theme in creations by the Maison, and particularly in the DB25 collection. It embodies an obsessive quest to depict the most beautiful sky in the finest possible way; to capture and preserve this emotion by miniaturising it to wristworn size; as well as to know that it is unique because one never performs the same manual operation twice. To ensure that each sky is different, De Bethune clients can choose the constellation they prefer to have appear on a mirror-polished blued titanium dial that will be studded with a whole host of tiny gold pins individually driven in to recreate the magic of the stars. Hand-guided laser engraved then enriches the sky with a multitude of smaller stars. To complete the process and further accentuate the visual effect, 24K gold brings an added glow resembling that of a nebula. The result is truly enchanting. These are a De Bethune signature. Rarely copied and a byword for quality because they require a very special touch, Côtes De Bethune are like the weft of a fabric featuring a specific slant. They ensure an original vision of the movement, drawing the gaze towards the centre of the part. Although the work takes longer and is more meticulous as well as delicate, the resuls is a visual miracle: unlike traditional Côtes de Genève motifs, Côtes De Bethune are symmetrically arranged from the centre, therby subtly concentrating the light in the very heart of the watch. 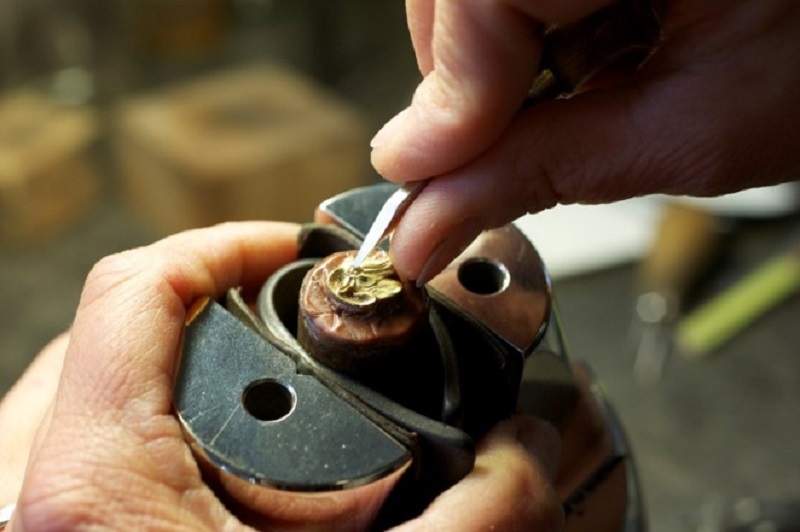 While watchmakers tended to use oxidation to avoid corrosion (blued steel avoids rust), the technique is now often used to lend a colourful touch to materials. 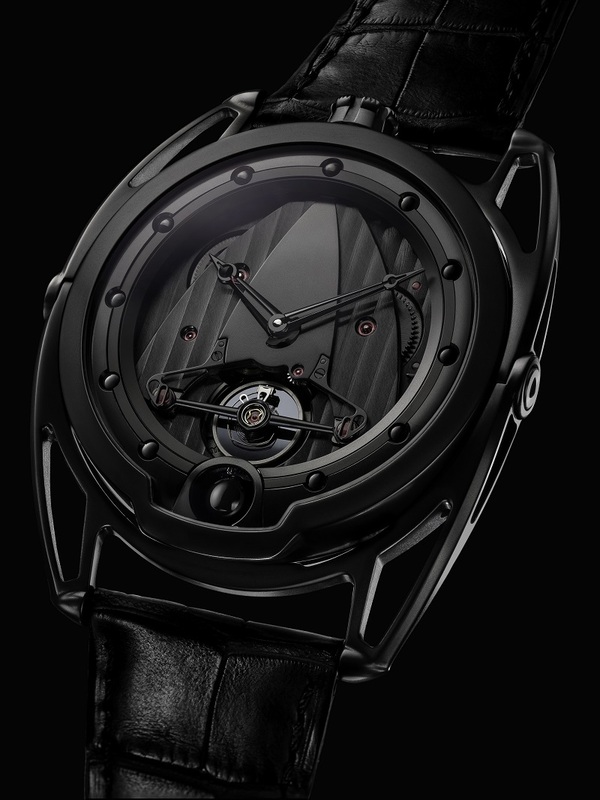 Such is the case with black oxidation of zirconium, which is one of the “natural” oxidation processes favoured by De Bethune. This choice ensures more beautiful shades more like pigments. The black is deeper with subtle shades. Natural oxidation provides a heightened sense of the materials, its state and its nature. It also durably guarantees the resistance and durability of the watch exterior. 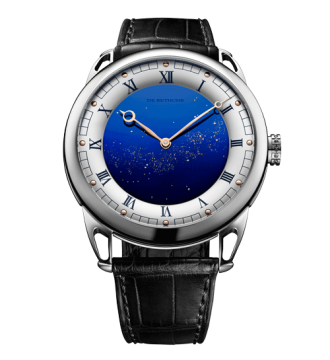 Among the various decorations characterising De Bethune movements, one offers a resolutely updated interpretation of the traditional guilloché technique. 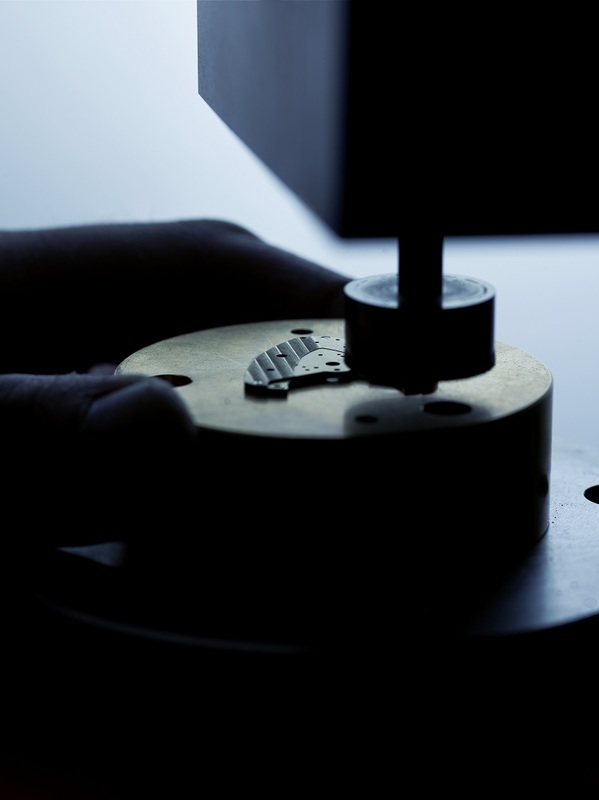 Microlight engraving is a technique applied to flat surface or raised edges in the movement, effectively accentuating or reinforcing a given structure or motif. By playing with light and shade effects, it adds a sense of depth and creates a more dynamic, architectural result. It takes desire and momentum to drive excellence forward in every area. Mirror polishing is about playing with light. The surface of the part is patiently polished until it does indeed resemble a mirror, with the metal perfectly reflecting the light. It can take up to three hours of polishing to achieve this result. Matter settles, atoms fall into place in a magical moment. 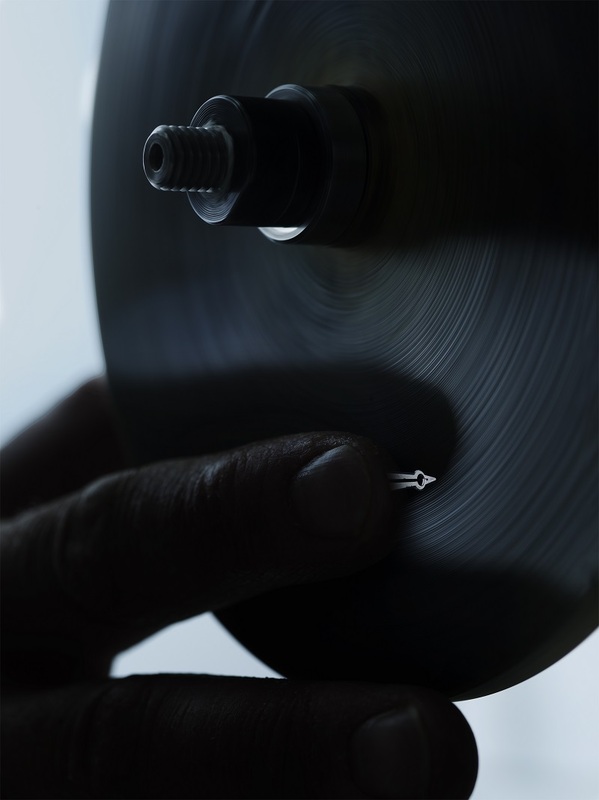 In working deftly with diamond paste on a boxwood grinding wheel, a certain feeling, a subtle perception or a moment of absolute precision is enough to understand if one has gone too far. All this stems from the smooth interaction between brain, eye and hand. It’s a question of expertise. Should one remain true to traditional engraving technique, or else take liberties and explore uncharted territories in order to magnify the material and create unprecedented visual effects? 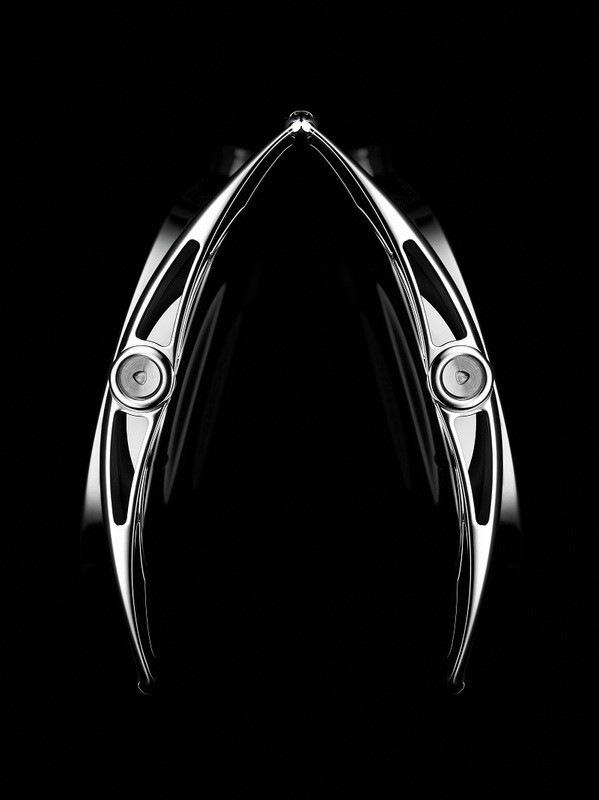 Artistic crafts as practiced by De Bethune pay vibrant tribute to human beings. Through its cooperative endeavours with the most gifted artisans, De Bethune sets out to rediscover ancient techniques associated with materials rarely used in watchmaking such as the jade so cherished by the Maya. 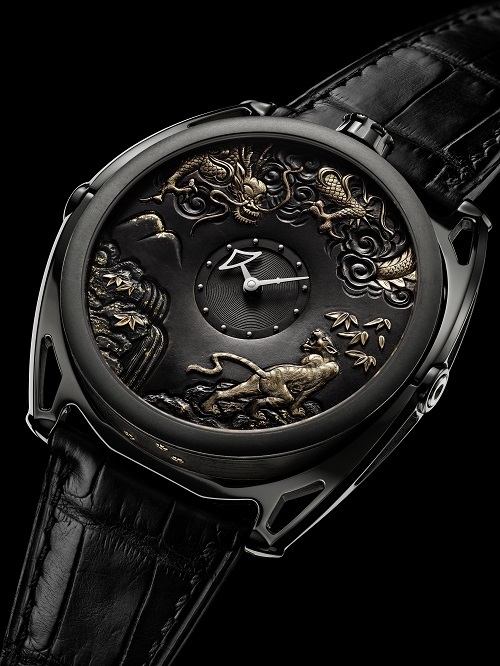 Each timepiece represents an adventure, with inspiration sometimes drawn from the fascinating mysteries of ancient Chinese, Japanese or Aztec civilisations. It becomes an amazing playground in which to explore ways of adorning timepieces – sculpting, engraving and personalizing them, giving them a vintage patina or unique character – without neglecting the legibility of the dial.